I'm so honored to be sharing the stage with Todd Burge, Bob Thompson, and Eric Gnezda for a taping of Songs at the Center, which is viewed on over 150 American Public Television stations. We'll be sharing originals in the round. This performance is free and open to the public, thanks to the Ohio Arts Council, and is part of the new Brick Street Arts Bash that's happening that weekend in Marietta. More info here. I'll be the guest soloist for the River Cities Symphony Orchestra Pops Concert, singing some hits from mid-century musical theatre. My quintet will be performing at lovely Lakeside Chautauqua! I'm excited to be performing again with Sean Parsons, Ryan Kennedy, Andy Hall, and our newest addition, John Inghram. I'll be in Columbus the second weekend of each month. If you're a gigging singer in the Columbus area, click here to schedule a spot. May 16 will mark a year since the launch of my website Commercial Voice Resources, which is for teachers who work with singers in commercial and popular styles. I'm excited about the great master teachers slated to write guest blogs and do interviews for the coming year. encourage the study and performance of popular genres of music. help high school and private music educators better understand the programs when advising college-bound music students. help post-secondary institutions better prepare future educators (particularly voice teachers) to teach in the programs. APME exists to empower music educators who include popular music in their curriculums. I'll present the two popular music program studies at this conference, and I'll also be giving a vocal technique workshop. The CCM Institute provides a foundation of instruction for people who sing and teach voice in contemporary commercial genres of music (non-classical music). 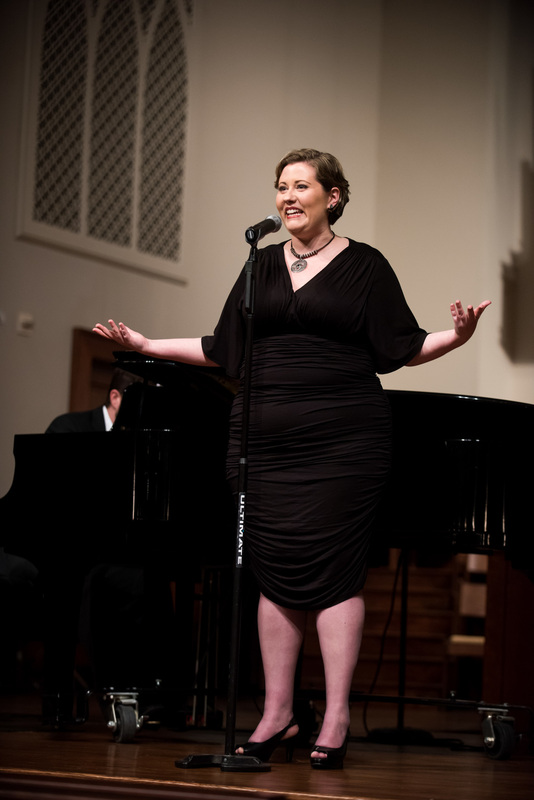 Most college programs only teach classical singing, and the CCM Institute is one of the few programs where the science and voice function behind other genres is taught. I've studied at this institute since 2009, and I'm thrilled to be a part of it this year. Opening for Bob Thompson was amazing! Saturday night was one of the most standout experiences of my life so far. When musicians and an audience agree together to go beyond our everyday level of connection...to share space and time and stories and sounds and laughter and tears...it is a sacred experience. Thank you so much to those of you who came for creating and sharing that sacred space with us. Shane Henthorne for his wonderful sound engineering work. Peoples Bank Theatre and the rest of the wonderful folks there who made last night happen: Hunt, Bradford, Drew, Geoffrey, Chuck, Gillian, Caroline, and all of the people working behind the scenes who make it possible for artists to connect to our community through that venue. Andy, Steven, Ryan, and Sean for being a singular group of musicians and friends. Cheers. The incredible Michelle Waters took these amazing shots of our show. What a wonderful evening. She captured it perfectly. See them here. I'm very excited to be performing again with Andy Hall, Steven Heffner, Ryan Kennedy, and Sean Parsons; and I'm extra-excited to be performing with them in Marietta, Ohio's beautifully restored Peoples Bank Theatre! This will be an intimate cabaret-style setup with table seating on the stage. A buffet and cash bar are provided, and the first drink's on the house. If you want to share the event with your friends via Facebook, here's the Facebook event link. Thanks to John Carrington Photography for the shots!